There are primarily 4 Main Types of Hair! These categories of hair types are for the Natural State of Hair! ﻿ In each category, there are Sub-types, known as A, B, C.
For Example; 3A, or 3B, 3C, and so on! 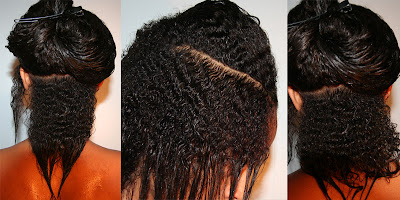 A person can have more than one hair type in their natural state of hair. Like myself, I have a combination of 4A and 4B, depending on where you look in my hair. Again, the listed hair types are for a person's natural state of hair, not chemically treated.